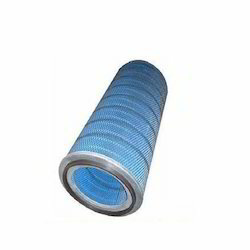 Air Filters Manufacturers - Industrial Air Filters Suppliers. 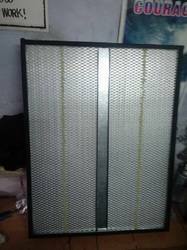 Air Filter We have marked a distinct and dynamic position in the market by providing a high quality array of Air Filter. Our offered range is availed in a variety of sizes and other such specifications to choose from. 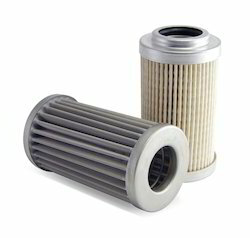 The offered filter is precisely designed at our highly advanced manufacturing unit following industry defined guidelines. 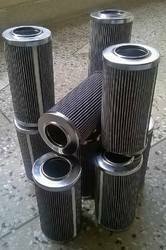 Moreover, clients can also avail the offered filter from us at the industry leading prices. Air Filter For Chemical Industry We are also offering Air Filter For Chemical Industry,which are available in both, standard and customized specifications. These are widely demanded world wide for their special features such as, dimensional accuracy, smooth functioning and longer service life. 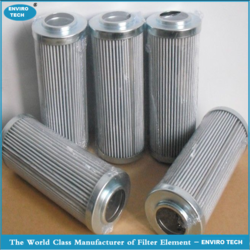 Designed using modern technology, the extensive range of these filters contain mechanical air filters and electronic or electrostatic air filters. Application:Water Treatment, Oilfield, Mining, Food Industry, Chemical Industry, Paper Making Industry, Decoration. 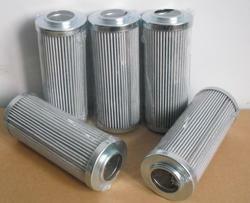 We are manufacturing and supplying Hydraulic Oil Filters. All our products conform their accordance with international standards. Moreover, these can be customized as per clients’ specifications and requirements. Before the final dispatch, these products are stringently checked by the quality analyzers on varied parameters to ensure their flawlessness. Air Oil Separator With the inclusion of contemporary machines and advanced tools in all our processes, we are able to manufacture, trader, export and supply a distinguished assortment of Air Oil Separator. It is used to separate compressed air from compressor oil. Our skilled professionals manufacture these separators using well-tested raw material and sophisticated technology. In addition to this, our offered range is rigorously tested by our quality controllers against diverse parameters in order to deliver a defect-free range at clients' end. Moreover, clients can avail the offered range from us at market leading prices. 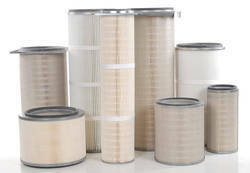 ENVIRO TECH Air Filtration's Conical and Cylindrical filter cartridge sets come in a variety of configurations: Conical/Cylindrical, Conical/Conical, and Cylindrical/Cylindrical and are ideal for gas turbine air inlet applications. These common configurations are primarily used in pulsing systems, but they can also be installed where the pulsing system has been disabled. 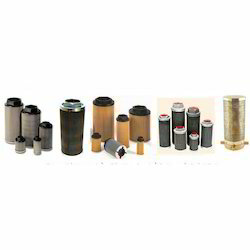 The Conical and Cylindrical cartridges can be equipped with any of ENVIRO TECH Air Filtration's high quality filter mediaensuring high filtration efficiency in all operating environments throughout the world. The Conical and Cylindrical filters feature high surface areas, low pressure drop and can be installed either horizontally and vertically. Our vast gas turbine experience enables us to manufacture customized filter cartridge solutions for specific air inlet filtration needs. Please contact us if you have any questions about ENVIRO TECH Air Filtration's Conical and Cylindrical cartridges or our other filters. 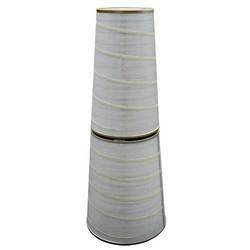 ENVIRO TECH Air Filtration's Conical Filter Cartridge is suitable for Gas Turbine air inlet housing. It can be equipped with any one of ENVIRO TECH Air Filtration's high quality filter media making it suitable for all operating environments throughout the world. 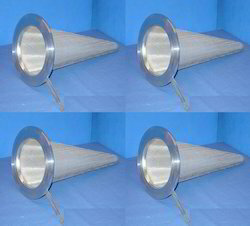 The Conical Filter Cartridge is installed horizontally. Please contact us if you have any questions about ENVIRO TECH Air Filtration's Conical Filter Cartridge or our other filters. Frame Material Stainless Steel, MS, Aluminium, G.I. 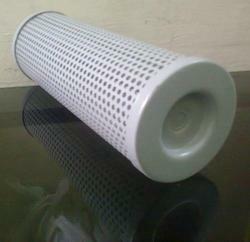 Hepa Filter Cylindrical are round type manufactured by latest technology. 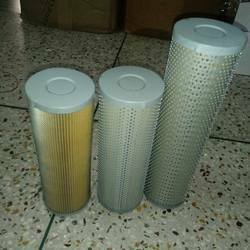 These are filters helps in cleaning the environment as air filters remove solid particulates,such as dust,pollen,mold,and bacteria form the air.We make use of quality raw material and make sure that our clients receive only a best available range of products. Gas Turbine Filter We are counted among the prominent organizations engaged in offering a wide range of Gas Turbine Filter. These filters are tested on several parameters by the quality controllers to ensure that these are flawless before delivering at clients' end. 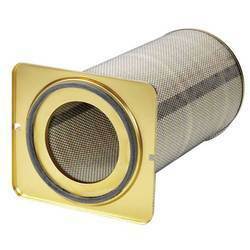 Our filters are fabricated using the advanced technology & machines. With rich industrial experience, we are able to offer a huge range of Lube Oil Filter that is available with high quality standards. Frame Type : GI SHEET, Aluminium Sheet, SS Sheet. 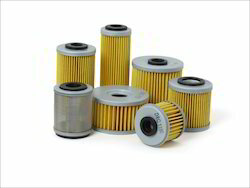 Oil Filter We are an acclaimed entity, engaged in offering a wide range of Oil Filter. 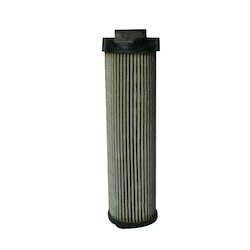 The filter offered by us helps inremoval of the unwanted particles from oil content.Being a quality-oriented organization, we assure our clients that this product is the best in quality. Our skilled professionals only utilize fine quality raw material, while manufacturing the entire range. 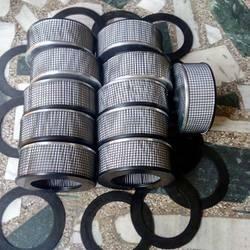 Moreover, our offered filter can be availed in a wide range of sizes and other specifications as per the requirements of our esteemed clients. We Manufacture and Supply Paper Paint Booth Filter is a new ENVIRO TECH product, also called organ type painting filter for dry type painting booths, it is made of environmental paper, special spire air flow design, is able to absorb the tiny particles efficiently, filtration efficiency is almost 89%, it can hold at least 10kg of oil dust/sqm. It is easy to change and the painting process is ENVIRO TECH. 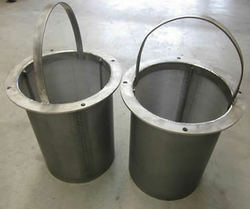 Material:Stainless Steel 304,316,202 or as per your request. 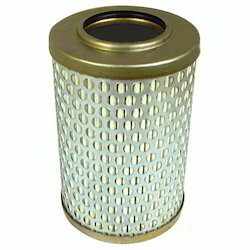 ENVIRO TECH Air Filtration's Square End Cap Filter Cartridge is designed for Gas Turbine air inlet housing. It can be equipped with any one of ENVIRO TECH Filtration's high quality filter media ensuring high filtration efficiency in all operating environments throughout the world. 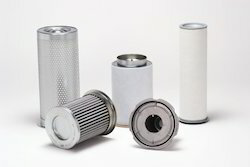 Please contact us if you have any questions about ENVIRO TECH Air Filtration's Square End Cap Filter Cartridge or our other filters. 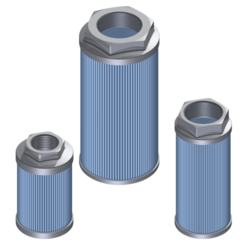 Suction strainer filters are designed for installation into high-pressure suction lines of hydraulic pumps. 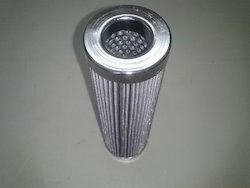 Suction strainer elements are only intended to protect hydraulic pumps against catastrophic failure caused by coarse contaminants.Construction: suction strainer filters are manufactured using pleated stainless steel mesh screen and rugged steel core centers that are epoxy bonded to heavy gauge connector and end caps. Consistent innovation, coupled with an alert understanding of customer's needs & demands, makes us the most renowned manufacturer, trader, exporter and supplier of Vacuum Cleaner Air Filter. Our offered range is strongly built with quality raw material and the latest technology. 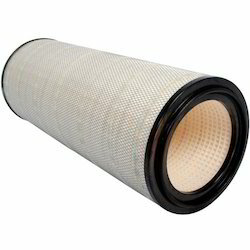 We assure that our offered filter is outstanding on counts of durability and quality. Keeping in mind the diverse requirements of our clients, we provide the entire range in various customized options and at affordable prices. 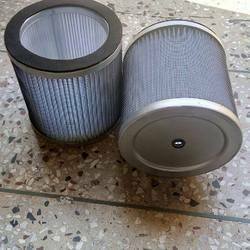 Banking on the skills of our qualified team of professionals, we are instrumental in offering supreme quality range of Air Filter. Batching Plant Filter We are among the successful names in the industry for supplying and trading Batching Plant Filter. The offered filter is sourced from authentic vendors and is exceptional in terms of quality. It is installed in hydraulic pumps for filtering water. This filter ensures complete removal of minerals and contaminants for avoiding malfunction of pumps due to blockage. 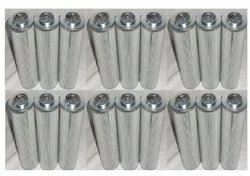 The Cylindrical ABS Filter Cartridge is partially recyclable / incinerable. 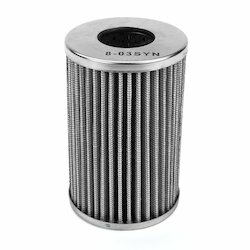 This filter configuration features non corrosive, non-metallic end caps and inner mesh particularly suitable for corrosive environments. It is installed horizontally. It is suitable for Gas Turbine air inlet housing and can be equipped with any one of ENVIRO TECH Air Filtration high quality filter media making it suitable for all operating environments throughout the world. 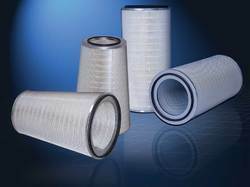 Please contact us if you have any questions about ENVIRO TECH Air Filtration's Cylindrical ABS Filter Cartridge or our other filters. ENVIRO TECH Cylindrical Filter Cartridge is suitable for Gas Turbine air inlet housing. It can be equipped with any one of ENVIRO TECH Air Filtration's high quality filter media making it suitable for all operating environments throughout the world. Please contact us if you have any questions about ENVIRO TECH Air Filtration's Cylindrical Filter Cartridge or our other filters. Dimensions & alternative material: contact envirotech76@yahoo.co.in or request datasheets. 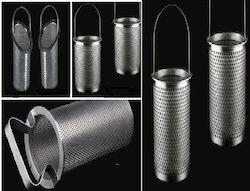 Filter Basket also named replacement strainer is made of perforated mesh or woven mesh. 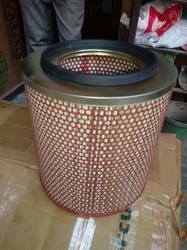 It can be divided into standard filter basket and slanted Filter Basket. 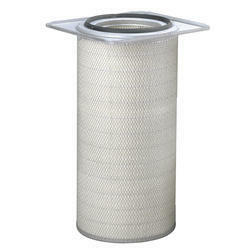 Mesh Filter basket is available in various levels of mesh and micron requirement. 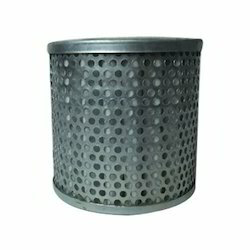 In order to maximize the usable surface area of the filter basket, the holes are perforated in a staggered pattern. All the types filter basket has a lift-out handle and a solid, flat bottom. They feature high liquid capacity and high flow rate. Material: SS 302, 304, 304L, 316, 316L, etc. 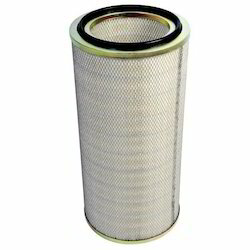 Types: standard filter basket and slanted filter basket. Filer media: perforation mesh or weave mesh. Mesh: 20, 30, 40, 50, 60, 70, 80, 100, 150, 200. 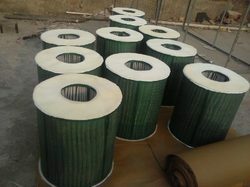 Micron line mesh: 40, 90, 160, 250 industry use, 5, 10, 15, 25 light-duty for special use. Perforation holes size: 1/2", 3/8", 1/4", 3/16", 9/64", 3/32", 1/16", 3/64". Diameter and length: customized by requirements. Excellent corrosion and hot resistance. 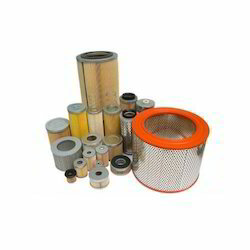 Looking for Air Filters Manufacturers - Industrial Air Filters Suppliers ?